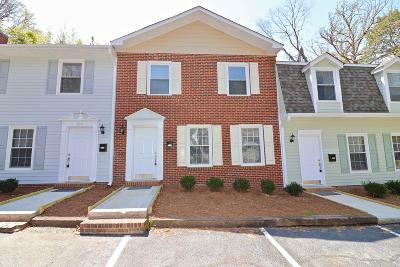 Live in the heart of down town southern pines in a fantastic fully renovated town home! These charming townhomes have been completely redone including, new roofs, new HVAC's, new Flooring, bathrooms, and kitchens. Now all they need are their new owners! Love the lock and leave it lifestyle? This town home is for you. Love to walk into town for dinner, to the park, or to shop? This town home is for you!